My kids love one pot meals. 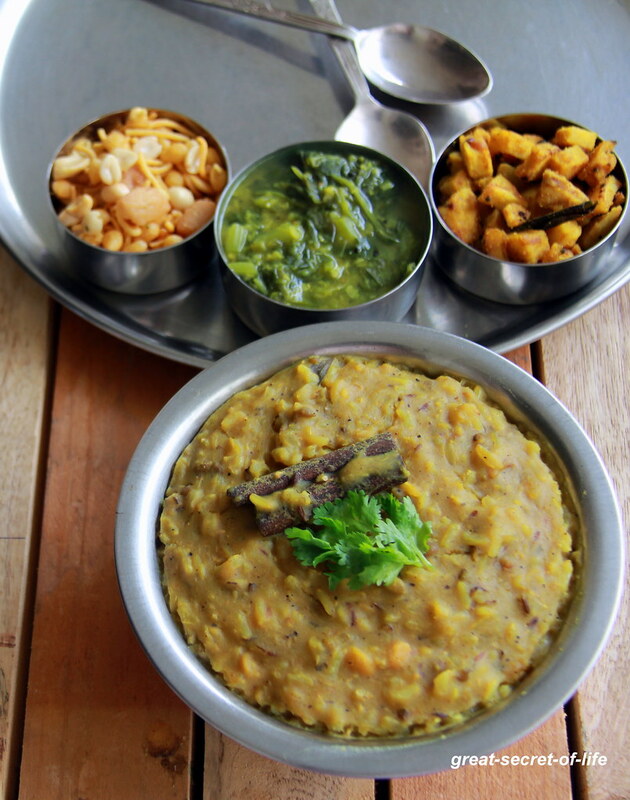 Sunday is always time for one pot meal. 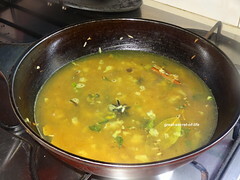 My kids liked Wholesome Kichadi that I have posted before. 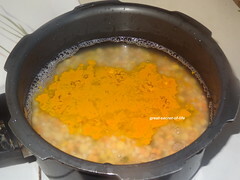 That recipe I have posted is using rice cooker. This time I wanted to try something using pressure pan. 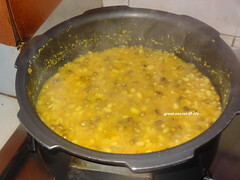 But this can be done in rice cooker too. 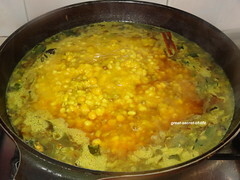 I have used urad dhal with skin also whole green moong dal. 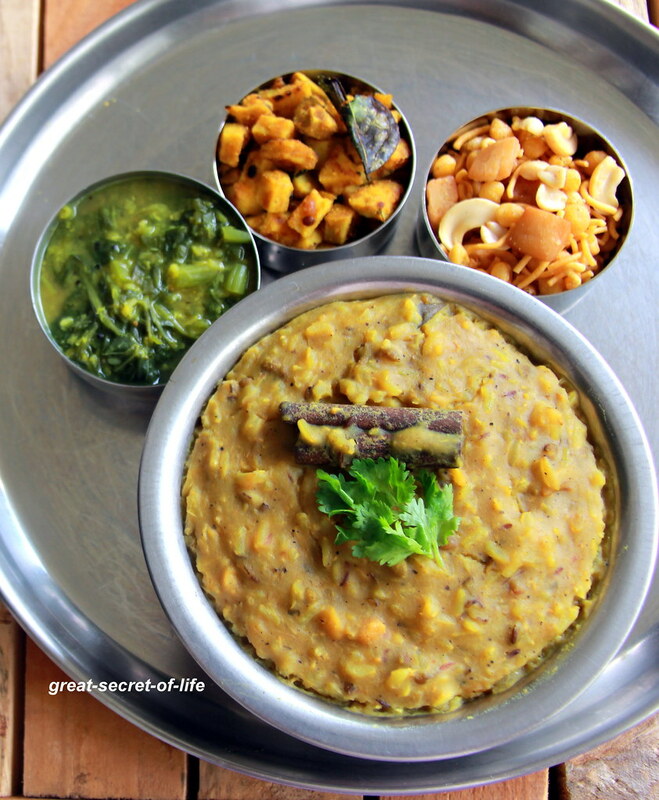 If you want you can replace that with urad dhal without skin and split yellow dhal (moong dal). 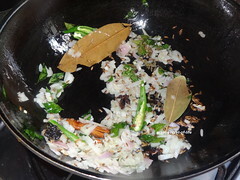 Wash and soak Rice and all dals for 30 mins separately. 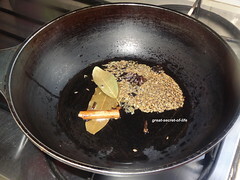 Cook the dhals with turmeric powder, 2.5 cups of water and salt till 2 whistle or 1/2 cooked. 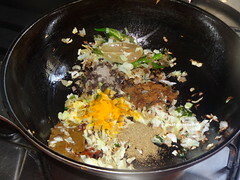 Add Cabbage, salt, turmeric powder, Cumin powder and pepper powder. Mix well. 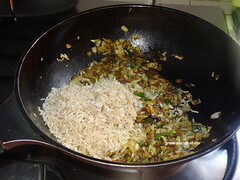 Fry for another 2-3 mins.Add soaked rice first. Mix well. 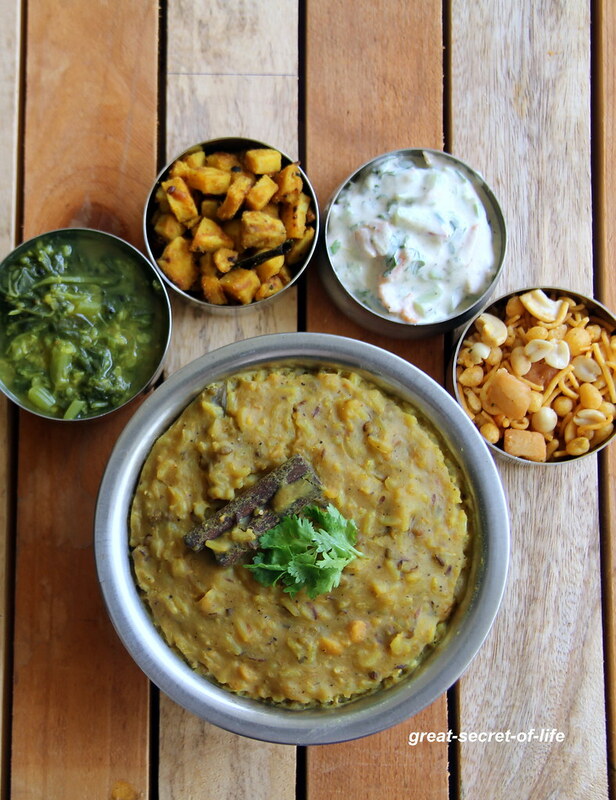 wow..this looks super divine treat with all sides,yummy ! !